converged as one family to train with no disturbances while getting a little leisure time and fresh air away from our usual training places. It is also a preparatory campaign for Our 1st So-Kyokushin International Karate Tournament pencilled for July in Harare next year which will be graced by Hanshi Daigo Oishi-9th Dan from Japan, the Vice-President of the International Karate Organization KYOKUSHIN KAIKAN: World So-Kyokushin. We arrived a bit late on Friday so we did not train as scheduled. On Saturday morning, day two, we had three training sessions. All Karatekas woke up early to brave the rain and cold characteristic of the area. The first training session of the day began with Kumite (sparring) then went on to finish off with basics. The second after breakfast and a little rest also started with some Kumite and basics with more physic training. The third session just before supper was based on moving basics and perfecting kicking techniques. Sunday morning was a little warmer and the focus was mainly on perfecting kata’s. You will realise that following such intense training under extreme weather conditions, when the fighters return home they would have developed stronger resistance and their muscles and systems can withstand more pressure. This is just one of many more outings to come with Our next Training Camp to being held in Guruve District, Mashonaland Central, date to be announced. What we intend to achieve is resilience, conditioning all vital organs to withstand pressure from whichever angle, getting to know each other as the So-Kyokushin Karate family and learn more without outside pressures. Also to learn to stick together and be a team, protecting and taking care of one another as one family. 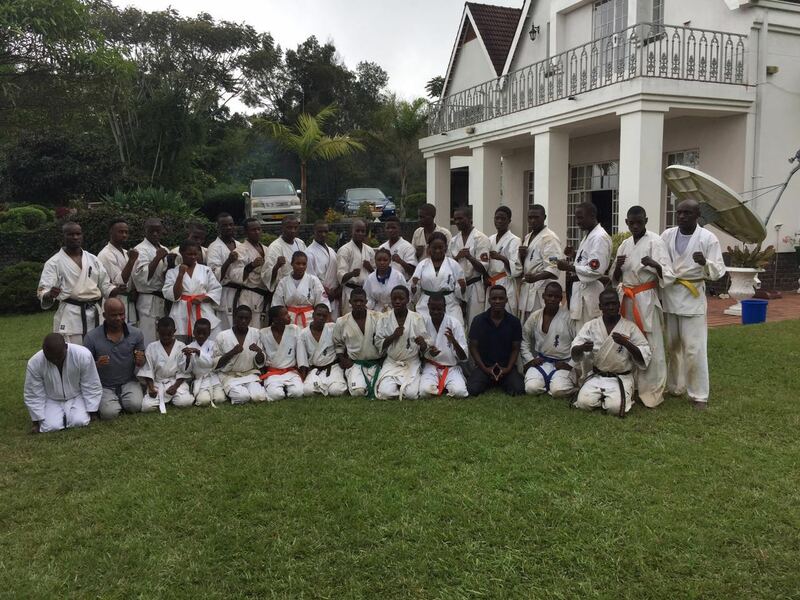 Training camps help develop love for the sport too, which makes the karateka more committed and also lures more to join the sport which is largely misunderstood as a violent sport. So-kyokushin is a full contact karate style which focuses mainly on discipline and ettiquette, self defence, courtesy abd respect, control of the mind and temper, weight management, improved social skills, confidence and self esteem, boosts morale determination and perseverence, pushing the body to withstand outside pressure that comes with life in general. We are one of the few sporting disciplines that have achieved so much in terms of raising the countries flag high in every tournament we compete in, bringing champions and many awards for Zimbabwe, our talent blessed nation.